This is a "shooters" course with maximum range time. The course stresses accuracy and speed but not speed at the expense of accuracy. The course will include equal amounts of paper and steel shooting. The principles of economy of motion and economy of time will be stressed throughout. Then on the third day the student will be put under stress through the use of time constraints and man on man competition. Also included are long-range exercises, barricade drills, movement, shooting while moving, and moving targets. 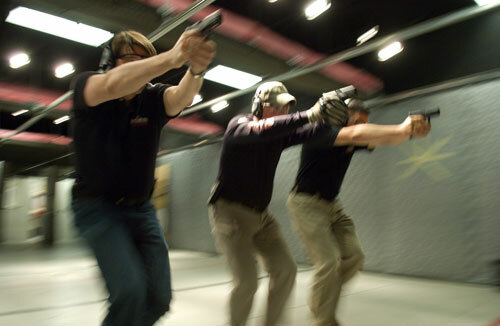 This is a perfect course for the shooter who wants to maximize their use of the handgun for self-defense or the competitive shooter who could use fine-tuning of their technique. After this course you will be shooting faster and with a greater degree of accuracy than ever before. Guaranteed! You will see a giant improvement in your speed and accuracy after completing this course!